Park Life - Is Trash the Future of Play? Have you noticed how so many public playgrounds all look the same? Gone are the metal climbing frames, wooden tree forts, swinging ropes, shiny slides and steely seesaws. Instead, we’ve got health and safety obsessed, homogenised plastic play areas that most kids find sterile and boring. Don’t despair. There are some wonderful secret gems out there, unique playgrounds with character and purpose and just enough structure to spark kids’ imaginations. Welcome to the free play movement, where children are encouraged to think creatively, improvise and learn their limits by taking managed risks. Many of these lively spaces fuse conservation with learning and a bit of clever repurposing of recycled materials. Before you seek out your local creative playground, we’ve found a few fantastic examples from around the world to help inspire you. Children learn through play, that’s the guiding philosophy at Grow Wild and just one of the reasons we’re huge fans. Nestled in London&apos;s Waltham Forest, this state-of-the-art adventure playground gives children the opportunity to learn about the natural environment, play outdoors, test themselves and have lots of fun while they’re at it. Even better, the playground is built from recycled materials and uses Sugru to repair, adapt and repurpose things. Watch our video to find out more. Playground is an extraordinary space just for kids complete with areas where grown-ups are not allowed to venture. This gives children the freedom they need to do what they&apos;re meant to do – and that&apos;s play! 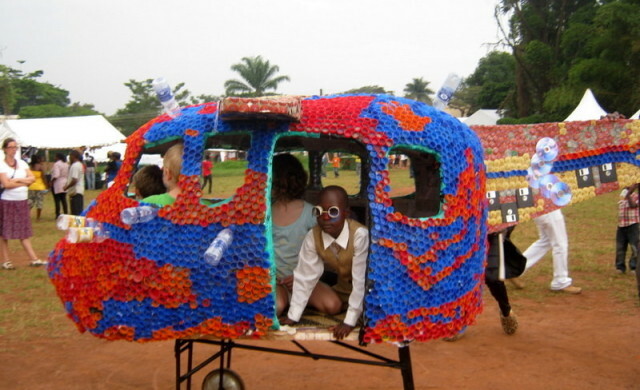 This innovative project in Uganda gives plastic bottles and other discarded things a whole new lease of life by transforming them into a colourful world of play. The park, designed by former fine artist, Ruganzu Bruno Tusingwire, provides a protected place for children to play. Tusingwire says: “We can use what is around us to create treasure, employment opportunities, and make the environment better." We couldn’t agree more! The Land is an adventure playground that is putting the Welsh town of Plas Madoc on the map. Playworkers from across the globe have travelled here for inspiration. The playground manager, Claire Griffiths, fields enquiries every day from people eager to start similar schemes. The playground features pallets, saws, nails and a fire pit for children to make things, break things and explore their imaginations. The team at Playground Ideas partnered with a local school in Papua New Guinea to give the children a fun place to learn and play. 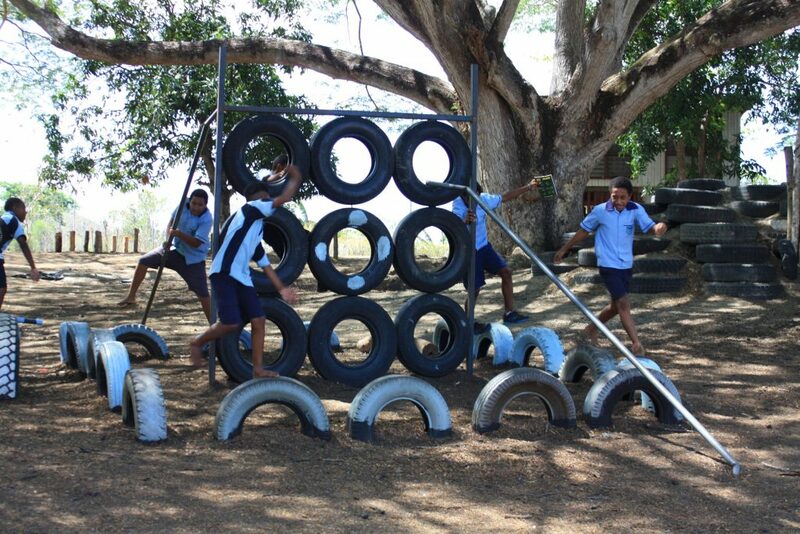 The playground brilliantly uses discarded tyres to construct obstacle courses, climbing walls and massive swings. Part slide, part dinosaur, totally awesome! This playground was designed by local children and then built by the Global Play Alliance using recycled materials. Watch the video and see how the children brought their dreams to life – it’s a joy! Do you have an interesting upcycled playground you think we should know about? Share it with us on Facebook, Instagram or Twitter. Bob - we like to watch you make stuff! The Restart Project is Fundraising!